In January 2012 outraged Nigerian citizens took to the streets when fuel subsidies were cut and the price of gas and food skyrocketed. The subsidy was eventually reinstated. By then the public already knew that corrupt oil officials had stolen $6.8 billion worth of the money meant to pay for the subsidy between 2009 and 2011. Nearly two years later, the scandal lives on and the list of the people involved is still growing. The financial watchdog group Berne Declaration says Swiss commodities traders are major players in the oil business in Nigeria, the largest exporter in Africa. Berne Declaration senior researcher Marc Gueniat says some of those traders may be involved in the scam. “Swiss traders are delivering petroleum products to Nigerian importers who have absolutely no kind of credibility businesswise,” he said. Oil companies with no credibility are well-documented in Nigeria. When the $6.8 billion fraud was exposed, so were companies that neither import nor export any oil products at all but still get subsidy money. Gueniat says Swiss traders are allowed to deal with officials or relatives of officials who may have access to public funds and a history of corruption. “They are completely free to do business with such people, with such companies according to Swiss laws. And this is a problem for us,” he said. He says there is evidence Nigeria’s national petroleum company, known as the NNPC, has made shady deals with two of the world’s largest oil traders, Vitol Group and Trafigura, both based in Switzerland. Vitol Group and Trafigura also say the report is false, and that they have strict anti-corruption policies. If they are, in fact, happening, these deals rob the people of money meant for government activities, like building roads and schools, running hospitals, and securing the country. Most of Nigeria’s national budget comes from oil sales. 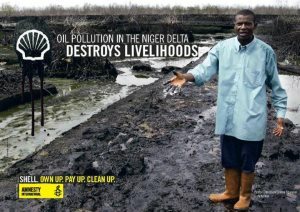 “This is one of the main problems regarding the oil industry in Nigeria. For instance NNPC stopped publishing annual reports since 2005. This is astonishing considering the importance this company has for the country,” he said. The Berne Declaration report also says that in 2011, Swiss traders bought most of $8.7 billion worth of crude oil set aside for refineries that do not have the capacity to use all the oil they get. Profits from those sales do not go to the government. When asked why, the NNPC did not respond.